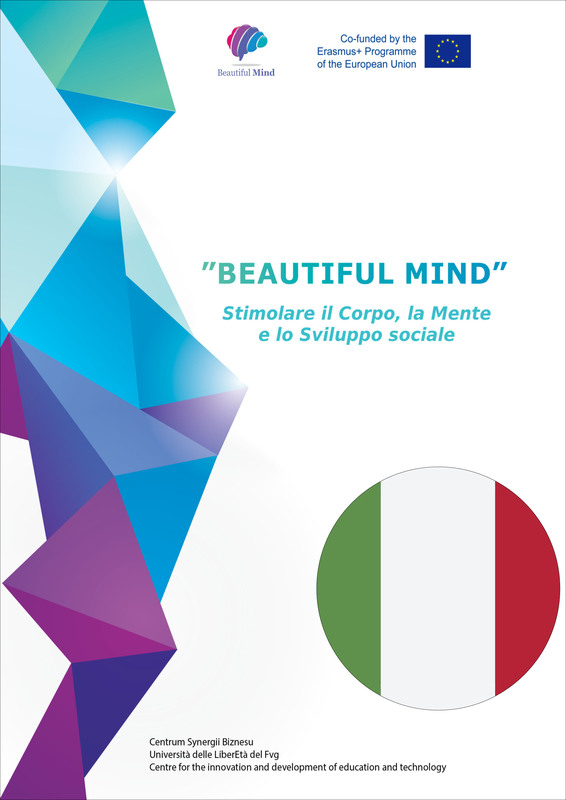 Project “Beautiful Mind” – Open Educational Resources in non-formal senior education was run in 2014-2016 by three institutions (Polish, Spanish and Italian) that were involved in adult education. 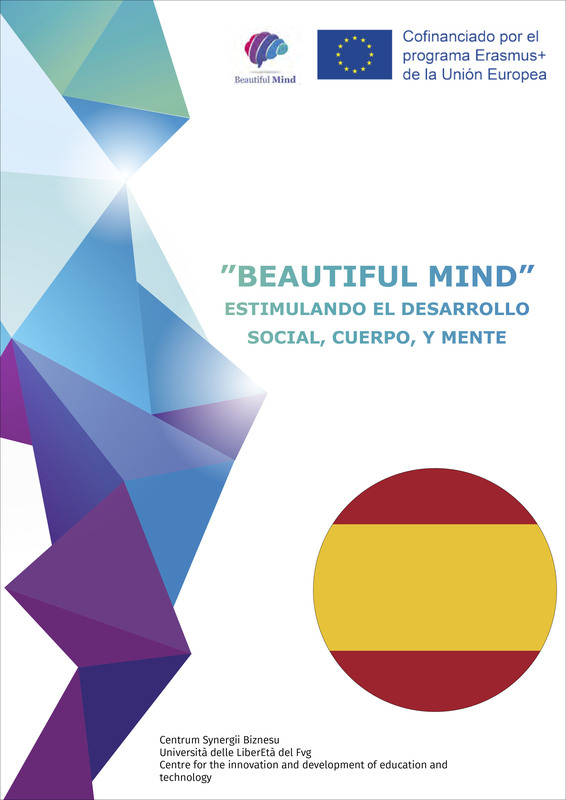 The main aim of the partnership was creating and dissemination the manual and online course for coaches “Beautiful Mind. 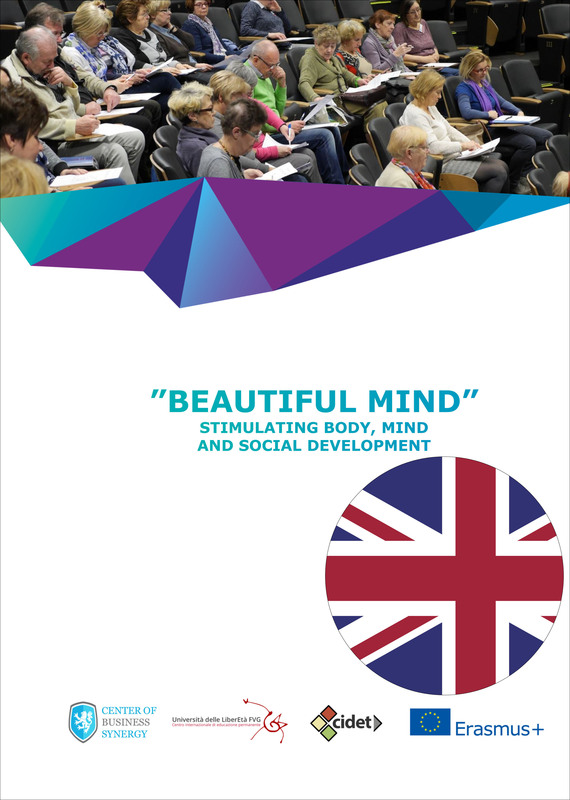 Stimulating body, mind and social development” that consists of 3 methodic and practical components and online course with 3 movies. The materials are dedicated to coaches, lecturers and teachers that are involved in non-formal adult education, especially for those over 50 – the group of people who is in danger of social exclusion. Module 1. Mnemotechnics and Speed Reading consists of 4 chapters – 3 of them are related to different mnemotechnics and the last one is a basic Speed Reading course. The additional materials are 3 movies for learning Speed Reading and the Link System. Each movie is subtitled in English, Spanish and Italian. They are available on online platform and were appendixes to the printed manuals. Module 2. Active Mind &amp; Body contains three chapters, which aim at stimulating mental activity through physical activity and healthy diet. They consist of tips for coaches and materials that help people 50+ keep physical and mental wellness. Module 3. Living and learning in the net-society contains 7 chapters which show how Information and Communication Technologies can positively influence social development of adults and seniors. They can be used in traditional teaching, distance learning and also self and peer learning. The partnership has not only organized 4 multiplier events for 300 people but has also cooperated with many local national institutions. The printed manuals were distributed in Polish, Spanish and Italian organizations, that are involved in adult education and also in other interested institutions, such as libraries. All materials were prepared to answer to the current seniors’ and adults’ needs. They are dedicated to those who still want to develop their skills and be active participants of modern societies. This project was funded with support from the European Commission. This is a KA2 Erasmus+ Strategic Parnership with reference 2014-1-PL01-KA204-003504. This web-site and its content reflect the views only of the author, and the Commission cannot be held responsible for any use which may be made of the information contained therein.